Having recently finished Shadows of Doubt, the first book in this series, I was eager to read this one to see what lead character Lou was up to. Her life really changed, and almost ended in Shadows of Doubt, and in this installment Ms. Corcoran did a great job delving deeper into her personality. She’s a likeable character who’s rough around the edges, tells it like it is, and someone you’d definitely want on your side. I really enjoyed the first story and this second one didn’t disappoint me either. If you’ve read Shadows of Doubt you already know what the added bonus was, that this is essentially a paranormal series, that gives gritty a whole new meaning. The plot builds along with the suspense, and just like the first story did, I found myself reading to find out if my own theories about these grizzly crimes were correct. The dialogue is very natural sounding, the setting, once again icing on the cake, and the pacing, despite the book’s length, a rollercoaster ride. And there’s even a glimpse of romance thrown in there too. I don’t know if the author has or is planning any more books in this series but I can’t wait to read more about Lou. 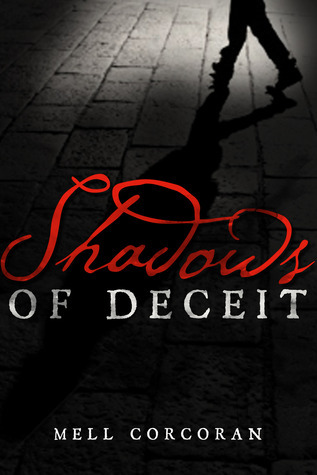 If you like gritty mysteries with a healthy dose of the paranormal then I think this is a series you’ll enjoy but I recommend reading Shadows of Doubt first.